Here's one nice lineage of the Japanese sports cars known as Nissan Skyline, originally produced by the Prince Motor Company since in 1955, and then merged with Nissan in 1966. After the merger, the Skyline were released only for domestic market in Japan (JDM Car) and sold specifically at dealership sales channels called Nissan Prince Shop at the time. 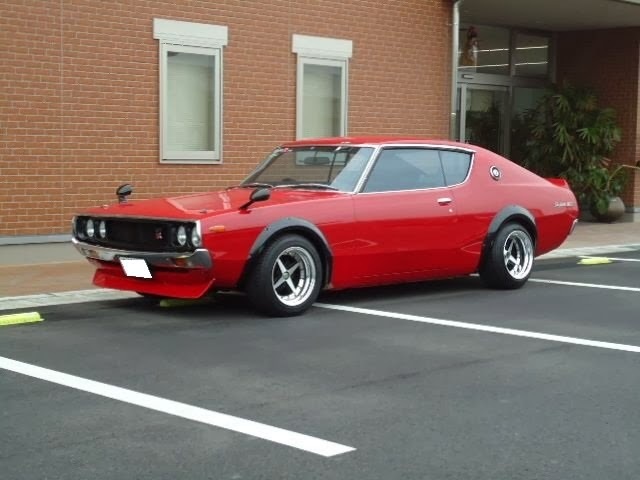 As shown here, it could be one the best restoration of the Nissan Skyline Kenmeri GT-R, with custom wheels make more aggressiveness at its look but not to spoil of the beauty by retaining most of the original components, it same as when came out of the factory is very cool red color with black interior. The Skyline Kenmeri GT-R is rarest production of the Nissan automobile, master of speeds for its era, is fearless. 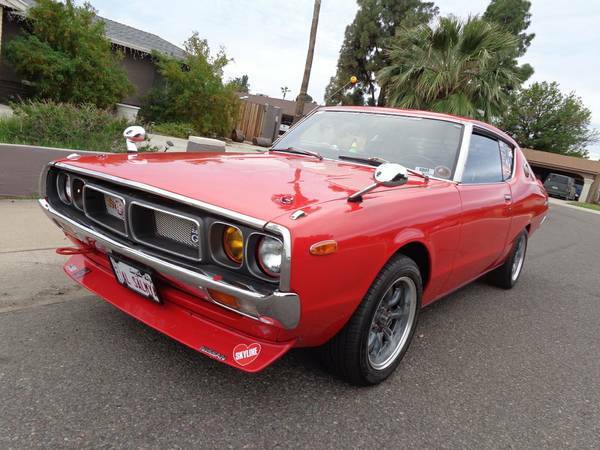 Unfortunately, the GT-R was unsuccessful on the market reportedly only 197 examples of the Kenmeri GT-R were sold due a gasoline crisis hit in the early of the 70s so is very worthy to keep it. How about the engine of this car? as you've seen here is not a 2.0 L S20 I6 engine. As we know the GT-R is highest performance version of the Skyline family they all bring S20 as its heart. So the judgment is a minus on the engine, the rest is cool car.